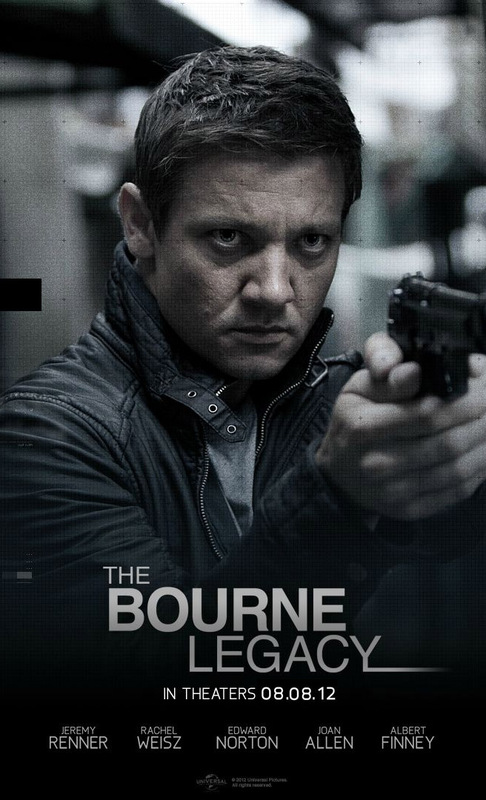 Just saw Bourne Legacy last night and because I'm late, I won't be commenting about the plot. I'll probably save that when I saw it again. So basically, I just sat there and try to comprehend what the movie is all about and wait for the main reason why I'm there: to see the scenes shot in Manila. For somebody like me who haven't seen the first 3 movies top-billed by Matt Damon, I can't really say how fateful the movie is at least in terms of texture and style. Getting a different director don't necessarily mean that it will be different. I understand the main idea of the story but what I really need to do is watch the first Trilogy. Yes, to fully appreciate this film, you need to watch the previous movies because there are a lot of characters, terminologies and important plot points that an audience needs to know. The movie tried to give recaps on some past characters specially Jason Bourne but of course they don't have the luxury of time and they are limited by short verbal explanations for those details. And to somebody who didn't saw the first 3 movies, it is hard to catch-up. The Manila scenes is basically all of those clips released online (some of them are published here). But there are also scenes not shown on those clips. It is longer than I expected. It is not explosive but should I say more on the exciting and riveting side. 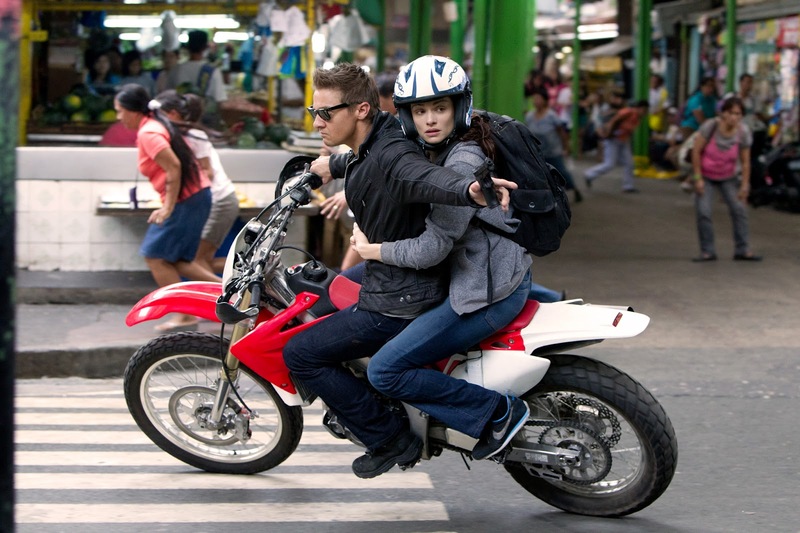 On this movie, I realize that it is possible to have a massive chase scene in Manila. I'll have to give the Manila crew thumbs up for a job very well done. Did Jeremy Renner live up to the expectations. Personally I can say yes. 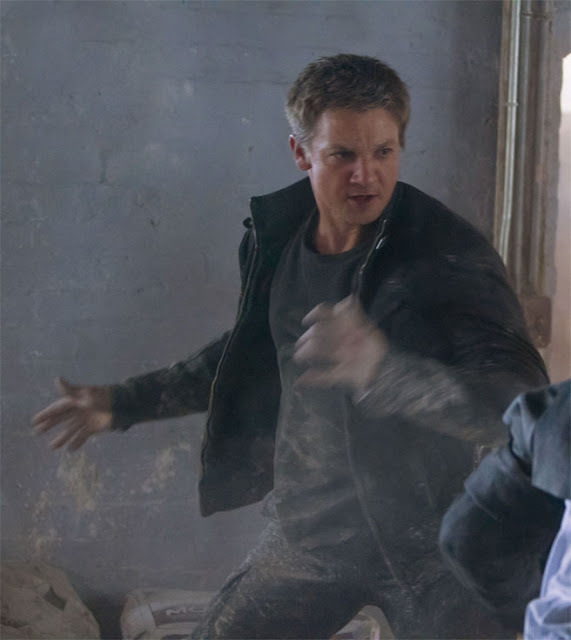 I think ever since Mission Impossible Ghost Protocol, I already saw Renner's big potential on being a lead and he proves that he can actually deliver and carry a franchise on his back (figuratively and literally). Now did he surpasses Matt Damon's performance in the first 3 movie? That I can't answer... for now. 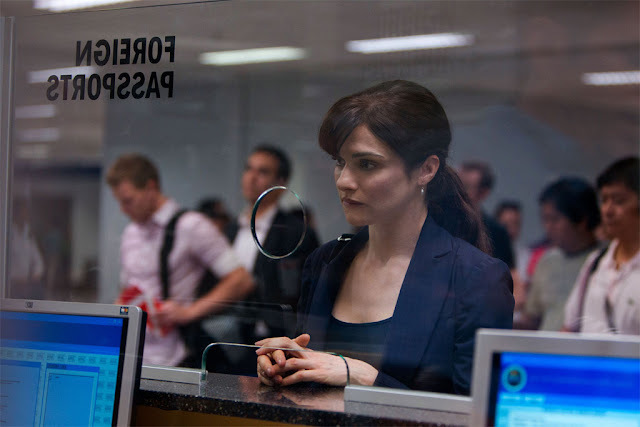 Rachel Weisz as always is brilliant female lead. She is definitely one of those actress that are not only just your common damsel in distress but she is one hell of a lady who can deliver excellent acting performances. Ok I can be very biased when it comes to her but hell seriously? Who would not fall in love on such beauty and talent? I have been in love with this woman ever since The Mummy (and yes including that so called mediocre Constantine) and never in a single moment of my life that I stopped adoring this absolutely incredible performer. I also want to give a big shout out to Mr. John Arcilla, Ms. Madeleine Nicolas, Lou Veloso, Anne Garcia and Ruby Ruiz who plays some of the crucial roles on the film. Though not really named (except Arcilla's who is given the name Joseph), the 5 of them together with all the other actors gave performance that we can be proud of. After all, in Hollywood there is no big or small roles. In a nut shell, The Bourne Legacy production wise is promising and you will definitely enjoy seeing all those Manila scene. Come on, it is very rare that Manila plays Manila on an international film. Might as well enjoy it. I will definitely watch it again but hopefully after I saw the first Bourne Trilogy. I may publish a follow-up review after watching all of them. Opening in cinemas on August 8, 2012. The Bourne Legacy is from Universal Pictures, to be distributed by United International Pictures through Solar Entertainment. Though it may not be as great as the original franchise, there is still a great amount of thrilling elements in this film to keep any Bourne fan alive and well while watching. Also, Renner makes a great, new hero that we can all stand and root for, even if he isn’t the same exact character as Jason Bourne. Nice review Jori. Thanks Dan O. :D Just came back after watching it again. I'm not late this time hahaha. I'll publish my review soon. need to sleep.